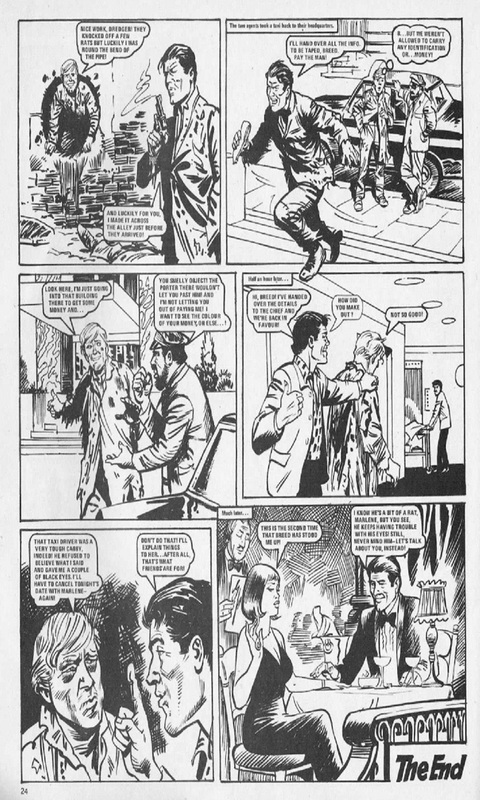 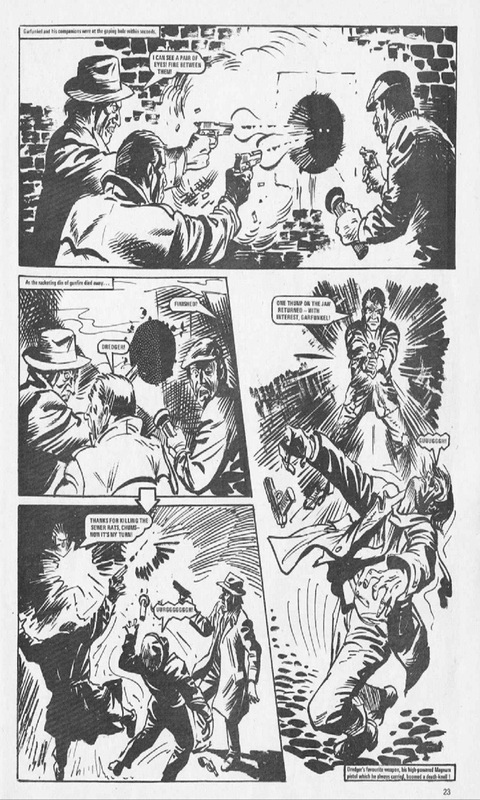 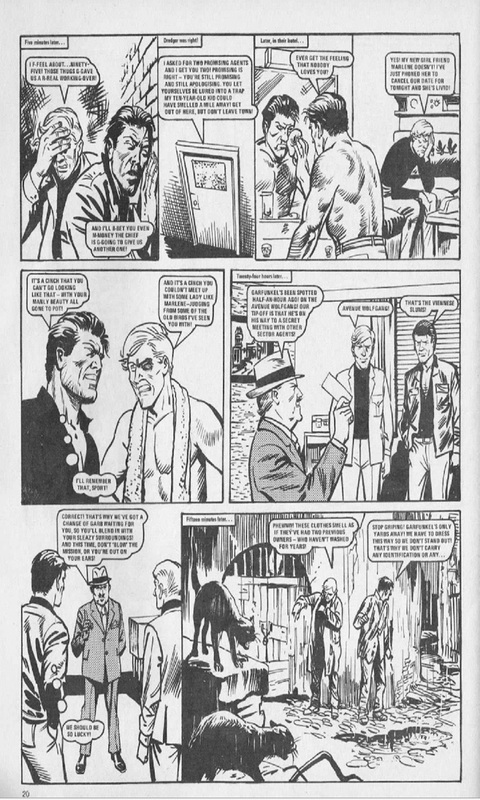 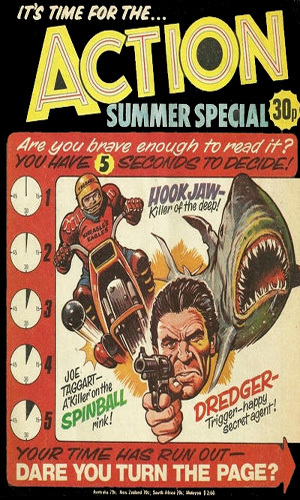 From Action Summer Special 1977 with 6 black & white pages. 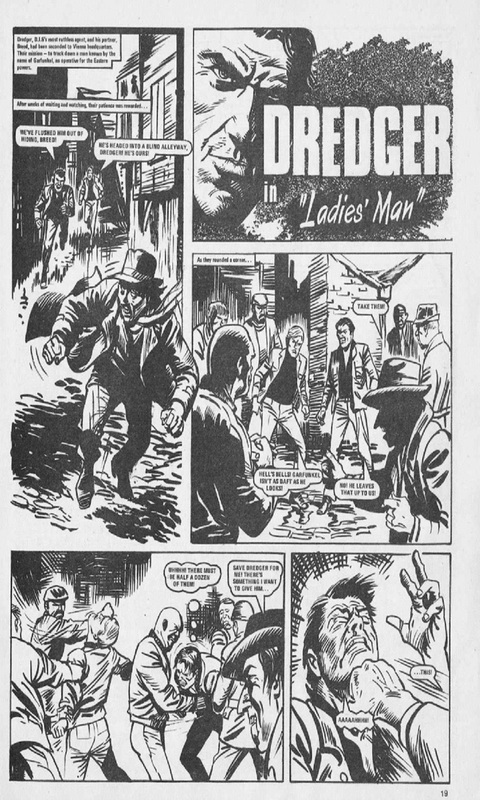 Dredger and Breed are on a mission in Vienna to catch a man named Garfunkel and their first attempt ends with them getting a beating by a number of bad guys. 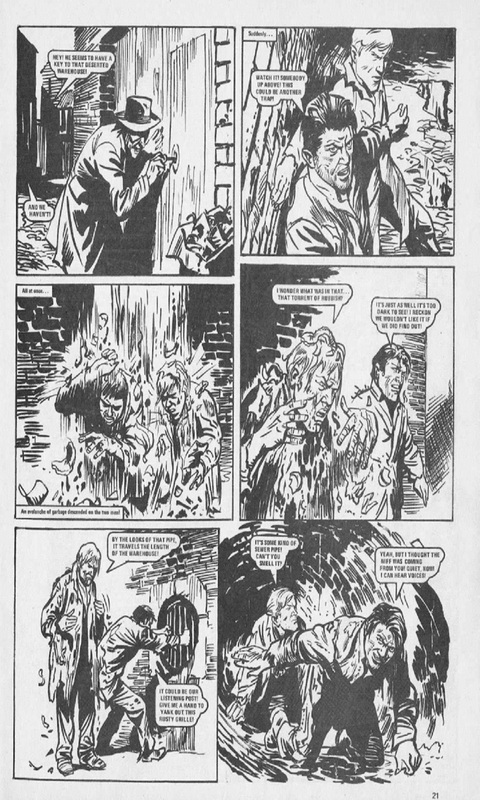 Their second attempt has them wearing dirty clothes, getting garbage dropped on them and crawling through the sewer. 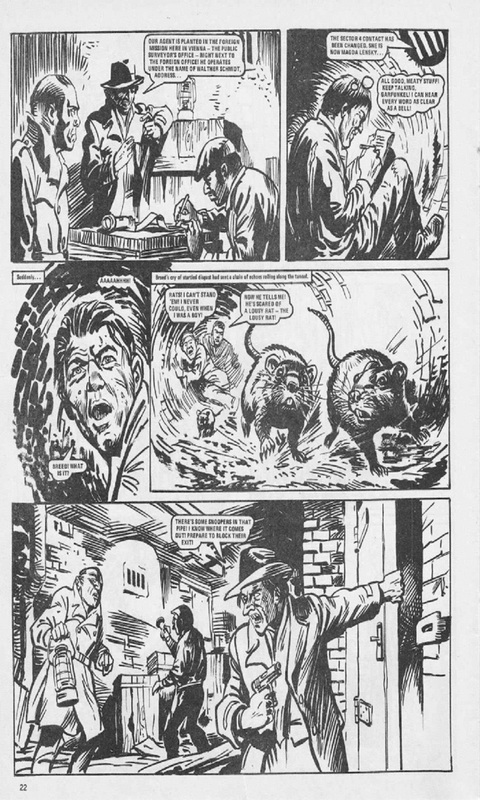 But in the end they get the man and important information, plus Dredger gets the date with the girl and not Breed.